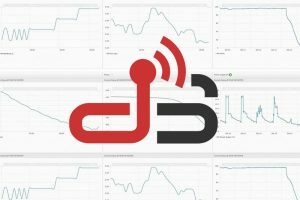 The vanwaltDataSlave is a wireless telemetry system. It turns any sensor into a wireless unit. The vanwaltDataSlave can accept an input from sensors which measure single or multiple parameters. Interfacing with a multitude of sensors whether by MODBUS; SD1-12, pulse count or a cabled connection. Inside the DataSlave is a radio “tile” which enables it to communicate with a PC or a vanwaltDataHub wirelessly over a considerable distance, up to 10 km line of sight. It sits at location and transfers sensor measurements to your desktop. If a connected sensor has memory then the vanwaltDataSlave transmits the data from the sensor’s internal memory. If the sensor does not have memory then the DataSlave collects the data from the sensor and stores it inside its own onboard memory. Designed by and manufactured in the UK under license from Van Walt Ltd it is ideal for difficult or restricted access sites. Up to 50 vanwaltDataSlaves can be daisy chained together with an automatic, wireless connection to a vanwaltDatahub. Uniquely the vanwaltDataSlave will operate with multiple sensors across industry sectors. It is licence free, subscription free so has no on-going annual charges. The vanwaltDataSlave turns any sensor into a wireless unit. It sits at location and transfers sensor measurements using radio frequency up to 10 km line of sight. If the connected sensor has memory then the vanwaltDataSlave transmits the data from the sensor’s internal memory. If the sensor does not have memory then the DataSlave collects the data from the sensor and stores it inside its own onboard memory. Accepts larger battery input (12 v) for higher power applications. Under good line of sight conditions, it should achieve a range of 10km at its lowest data range. Range is most affected by the terrain and antenna height. This is an optional connector for future expansion. It can count on positive or negative edges and detects a closure to ground.